TRADESAVE Double 10A Horizontal Powerpoint with Twin USB Ports. TRADESAVE Double 10A Horizontal Powerpoint with Twin USB Ports. Combined USB Output 3.5A. Removable Clip on Cover. Bright White. TRADESAVE Single 10A Horizontal Power Point. Removable Cover. TRADESAVE Single 10A Horizontal Power Point. Removable Cover. Moulded in Flame Resistant Polycarbonate. Fade Resistant. Bright White. TRADESAVE Single 10A Vertical Power Point. Removable Cover. Moulded in TRADESAVE Single 10A Vertical Power Point. Removable Cover. Moulded in Flame Resistant Polycarbonate. Fade Resistant. Bright White. TRADESAVE Double 10A Horizontal Power Point. Removable Cover TRADESAVE Double 10A Horizontal Power Point. 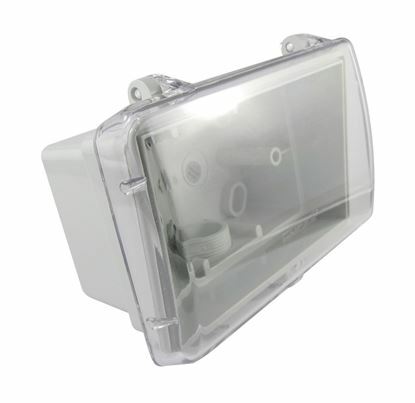 Removable Cover Moulded in Flame Resistant Polycarbonate. Fade Resistant. Bright White. TRADESAVE Double 10A Vertical Power Point. Removable Cover. TRADESAVE Double 10A Vertical Power Point. Removable Cover. Moulded in Flame Resistant Polycarbonate. Fade Resistant. Bright White. TRADESAVE Double 10A Horizontal Power Point with Extra 16A Switch. TRADESAVE Double 10A Horizontal Power Point with Extra 16A Switch. Removable Cover. Moulded in Flame Resistant Polycarbonate. Fade Resistant. Bright White. TRADESAVE 4 Gang 10A Horizontal Power Point. Removable Cover. TRADESAVE 4 Gang 10A Horizontal Power Point. Removable Cover. Moulded in Flame Resistant. Polycarbonate. Fade Resistant. Bright White. TRADESAVE Blank Plate. Accepts all Tradesave Mechanisms. TRADESAVE Blank Plate. Accepts all Tradesave Mechanisms. Moulded in flame Resistant Fade Resistant. Bright White. TRADESAVE Architrave Single 16A Vertical Switch. 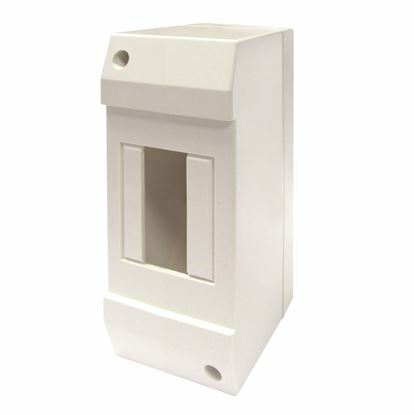 Moulded in Flame TRADESAVE Architrave Single 16A Vertical Switch. Moulded in Flame Resistant Polycarbonate. Fade Resistant. Standard Plate and Architrave. Bright White. TRADESAVE Switch Plate ONLY. 1 Gang Accepts all Tradesave Mechanisms. TRADESAVE Switch Plate ONLY. 1 Gang Accepts all Tradesave Mechanisms. Moulded in Flame Resistant Polycarbonate. Fade Resistant. Bright White. TRADESAVE 16A 2-Way Vertical 1 Gang Switch. Moulded in Flame Resistant TRADESAVE 16A 2-Way Vertical 1 Gang Switch. Moulded in Flame Resistant Polycarbonate. Fade Resistant. Standard plate and Architrave. Bright White. TRADESAVE Switch Plate ONLY. 2 Gang Accepts all Tradesave Mechanisms. TRADESAVE Switch Plate ONLY. 2 Gang Accepts all Tradesave Mechanisms. Moulded in Flame Resistant Polycarbonate. Fade Resistant. Bright White. TRADESAVE 16A 2-Way Vertical 2 Gang Switch. Moulded in Flame Resistant TRADESAVE 16A 2-Way Vertical 2 Gang Switch. Moulded in Flame Resistant Polycarbonate. Fade Resistant. Standard plate and Architrave. Bright White. TRADESAVE Switch Plate ONLY. 3 Gang Accepts all Tradesave Mechanisms. TRADESAVE Switch Plate ONLY. 3 Gang Accepts all Tradesave Mechanisms. Moulded in Flame Resistant Polycarbonate. Fade Resistant. Bright White. TRADESAVE 16A 2-Way Vertical 3 Gang Switch. Moulded in Flame Resistant TRADESAVE 16A 2-Way Vertical 3 Gang Switch. Moulded in Flame Resistant Polycarbonate. Fade Resistant. Standard plate and Architrave. Bright White. TRADESAVE Switch Plate ONLY. 4 Gang Accepts all Tradesave Mechanisms. TRADESAVE Switch Plate ONLY. 4 Gang Accepts all Tradesave Mechanisms. Moulded in Flame Resistant Polycarbonate. Fade Resistant. Bright White. TRADESAVE 16A 2-Way Vertical 4 Gang Switch. Moulded in Flame Resistant TRADESAVE 16A 2-Way Vertical 4 Gang Switch. Moulded in Flame Resistant Polycarbonate. Fade Resistant. Standard plate and Architrave. Bright White. TRADESAVE Switch Plate ONLY. 5 Gang Accepts all Tradesave Mechanisms. TRADESAVE Switch Plate ONLY. 5 Gang Accepts all Tradesave Mechanisms. Moulded in Flame Resistant Polycarbonate. Fade Resistant. Bright White. TRADESAVE 16A 2-Way Vertical 5 Gang Switch. Moulded in Flame Resistant TRADESAVE 16A 2-Way Vertical 5 Gang Switch. Moulded in Flame Resistant Polycarbonate. Fade Resistant. Standard plate and Architrave. Bright White. TRADESAVE Switch Plate ONLY. 6 Gang Accepts all Tradesave Mechanisms. TRADESAVE Switch Plate ONLY. 6 Gang Accepts all Tradesave Mechanisms. Moulded in Flame Resistant Polycarbonate. Fade Resistant. Bright White. 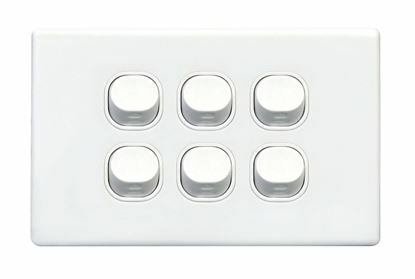 TRADESAVE 16A 2-Way Vertical 6 Gang Switch. Moulded in Flame Resistant TRADESAVE 16A 2-Way Vertical 6 Gang Switch. Moulded in Flame Resistant Polycarbonate. Fade Resistant. Standard plate and Architrave. Bright White. TRADESAVE Distribution Board, Surface 8 Pole Inc Lid, Links TRADESAVE Distribution Board, Surface 8 Pole Inc Lid, Links Lockable. Made from Fire Retardant Material. Split Links and Earth Bar. Includes DIN Rail, Pole Fillers and Circuit Identification. TRADESAVE Surface DIN Rail Enclosure, 2 Pole. 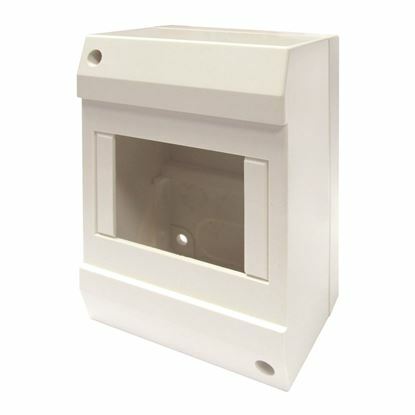 Moulded Base TRADESAVE Surface DIN Rail Enclosure, 2 Pole. Moulded Base with 35mm DIN Rail. Pole Fillers. Screwed Lid. TRADESAVE Surface DIN Rail Enclosure, 4 Pole. Moulded Base TRADESAVE Surface DIN Rail Enclosure, 4 Pole. Moulded Base with 35mm DIN Rail. Pole Fillers. Screwed Lid. 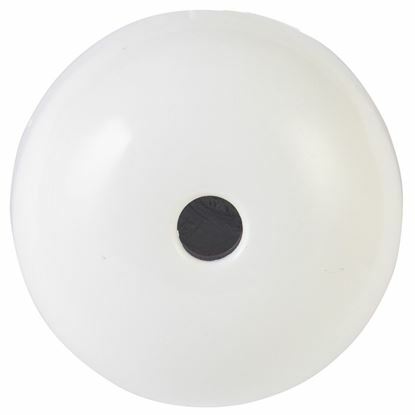 TRADESAVE Batten Lamp Holder Small Base. Moulded in TRADESAVE Batten Lamp Holder Small Base. Moulded in Flame Resistant Polycarbonate. Fade Resistant. Bright White. TRADESAVE Ceiling Rose with 4 Terminals. Moulded in Flame TRADESAVE Ceiling Rose with 4 Terminals. Moulded in Flame Resistant Polycarbonate. Fade Resistant. Bright White. TRADESAVE 16A 2-Way Mechanism. Suits all Tradesave Plates. TRADESAVE 16A 2-Way Mechanism. Suits all Tradesave Plates. Moulded in Flame Resistant Polycarbonate. Fade Resistant. Bright White. TRADESAVE 35A 2-Way Labelled OVEN Mechanism. Suits all Tradesave TRADESAVE 35A 2-Way Labelled OVEN Mechanism. Suits all Tradesave Plates. TRADESAVE 16A 2-Way Labelled FAN Mechanism. Suits all Tradesave TRADESAVE 16A 2-Way Labelled FAN Mechanism. Suits all Tradesave Plates. TRADESAVE 16A 2-Way Labelled HEAT Mechanism. Suits all Tradesave TRADESAVE 16A 2-Way Labelled HEAT Mechanism. Suits all Tradesave Plates. TRADESAVE 16A 2-Way Labelled LIGHT Mechanism. Suits all TRADESAVE 16A 2-Way Labelled LIGHT Mechanism. Suits all Tradesave Plates. TRADESAVE 10A Momentary Press Mechanism. Suits all Tradesave TRADESAVE 10A Momentary Press Mechanism. Suits all Tradesave Plates. TRADESAVE Large 32A Junction Box. Bright White. Moulded Flame TRADESAVE Large 32A Junction Box. Bright White. Moulded Flame Resistant Polycarbonate. Fade Resistant. Includes Connectors. Heat Treated Plastic. TRADESAVE Small 32A Junction Box. Bright White. Moulded Flame TRADESAVE Small 32A Junction Box. Bright White. Moulded Flame Resistant Polycarbonate. Fade Resistant. Includes Connectors. Heat Treated Plastic. TRADESAVE Shallow Mounting Block (18mm). Bright White. 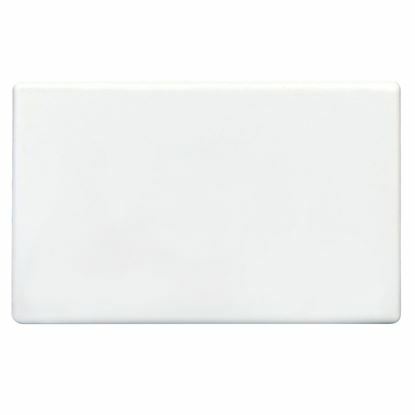 Moulded Flame TRADESAVE Shallow Mounting Block (18mm). Bright White. Moulded Flame Resistant Polycarbonate. Fade Resistant. Heat Treated Plastic. TRADESAVE QUAD Mounting Block (25mm). Bright White. Moulded Flame TRADESAVE QUAD Mounting Block (25mm). Bright White. Moulded Flame Resistant Polycarbonate. Fade Resistant. Heat Treated Plastic. TRADESAVE DEEP Mounting Block (34mm). Bright White. Moulded Flame TRADESAVE DEEP Mounting Block (34mm). Bright White. Moulded Flame Resistant Polycarbonate. Fade Resistant. Heat Treated Plastic. TRADESAVE ENCLOSED Mounting Block. Bright White. Moulded Flame TRADESAVE ENCLOSED Mounting Block. Bright White. Moulded Flame Resistant Polycarbonate. Fade Resistant. Heat Treated Plastic. TRADESAVE Single Gang Wallboard Clip C Type. 20 per box. TRADESAVE Single Gang Wallboard Clip C Type. 20 per box. 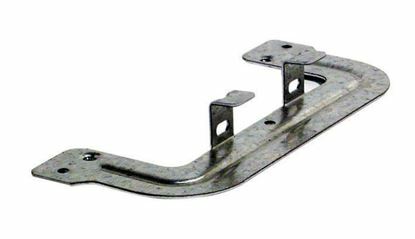 TRADESAVE Vertical/Horizontal Bracket. No Nails Needed. Comes TRADESAVE Vertical/Horizontal Bracket. No Nails Needed. Comes with Cable Grip. 20 per box. TRADESAVE Single Plug Base Socket. (4 TERMINALS). Bright white. Heat TRADESAVE Single Plug Base Socket. (4 TERMINALS). Bright white. Heat Treated Plastic. Moulded in Flame Resistant Polycarbonate. Fade Resistant. TRADESAVE Double Plug Base Socket. (4 TERMINALS). Bright white. Heat TRADESAVE Double Plug Base Socket. (4 TERMINALS). Bright white. Heat Treated Plastic. Moulded in Flame Resistant Polycarbonate. Fade Resistant. TRADESAVE Conduit Saddle Full (16mm). Zinc Plated. 6mm Mounting TRADESAVE Conduit Saddle Full (16mm). Zinc Plated. 6mm Mounting Hole. 150 per box. TRADESAVE Conduit Saddle Full (20mm). Zinc Plated. 6mm Mounting TRADESAVE Conduit Saddle Full (20mm). Zinc Plated. 6mm Mounting Hole. 100 per box. TRADESAVE Conduit Saddle Full (25mm). Zinc Plated. 6mm Mounting TRADESAVE Conduit Saddle Full (25mm). Zinc Plated. 6mm Mounting Hole. 50 per box. TRADESAVE Conduit Saddle Full (32mm). Zinc Plated. 6mm Mounting TRADESAVE Conduit Saddle Full (32mm). Zinc Plated. 6mm Mounting Hole. 35 per box. TRADESAVE Conduit Saddle Full (40mm). Zinc Plated. 6mm Mounting TRADESAVE Conduit Saddle Full (40mm). Zinc Plated. 6mm Mounting Hole. 25 per box. TRADESAVE Conduit Saddle Full (50mm). Zinc Plated. 6mm Mounting TRADESAVE Conduit Saddle Full (50mm). Zinc Plated. 6mm Mounting Hole. 15 per box. TRADESAVE Conduit Saddle Half (16mm). Zinc Plated. 6mm Mounting TRADESAVE Conduit Saddle Half (16mm). Zinc Plated. 6mm Mounting Hole. 150 per box. TRADESAVE Conduit Saddle Half (20mm). Zinc Plated. 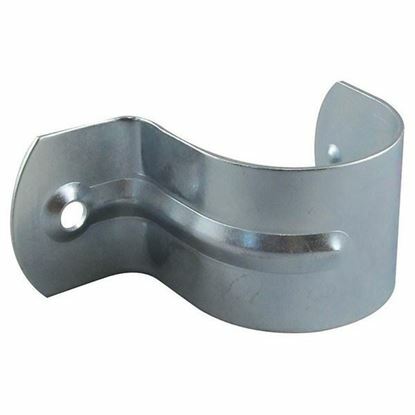 6mm Mounting TRADESAVE Conduit Saddle Half (20mm). Zinc Plated. 6mm Mounting Hole. 100 per box. TRADESAVE Conduit Saddle Half (32mm). Zinc Plated. 6mm Mounting TRADESAVE Conduit Saddle Half (32mm). Zinc Plated. 6mm Mounting Hole. 35 per box. 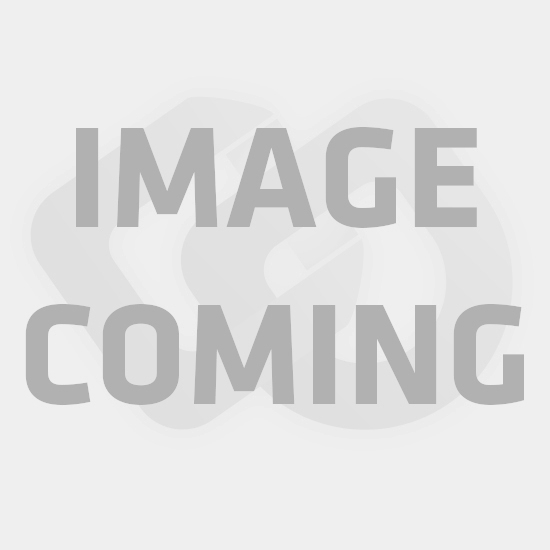 TRADESAVE Conduit Saddle Half (40mm). Zinc Plated. 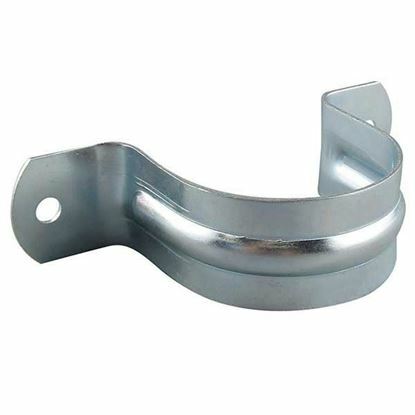 6mm Mounting TRADESAVE Conduit Saddle Half (40mm). Zinc Plated. 6mm Mounting Hole. 25 per box. TRADESAVE Conduit Saddle Half (50mm). Zinc Plated. 6mm Mounting TRADESAVE Conduit Saddle Half (50mm). Zinc Plated. 6mm Mounting Hole. 15 per box. TRADESAVE Slim 10A Horizontal 1 Gang Switch. Removable Cover. TRADESAVE Slim 10A Horizontal 1 Gang Switch. Removable Cover. Moulded in Flame Resistant Polycarbonate. Fade Resistant. Bright White. TRADESAVE Slim 10A Double Power Point. Removable Cover. Moulded in TRADESAVE Slim 10A Double Power Point. Removable Cover. Moulded in Flame Resistant Polycarbonate. Fade Resistant. 5mm Plate Thickness. Bright White. TRADESAVE Slim 10A Double Power Point with Extra 16A Switch. TRADESAVE Slim 10A Double Power Point with Extra 16A Switch. Removable Cover. Moulded in Flame Resistant Polycarbonate. Fade Resistant. 5mm Plate Thickness. Bright White. TRADESAVE SLIM Blank Plate. Accepts all Tradesave Mechanisms. TRADESAVE SLIM Blank Plate. Accepts all Tradesave Mechanisms. Moulded in flame Resistant Polycarbonate. Fade Resistant. 5mm Plate Thickness. Bright White. TRADESAVE Slim Switch Plate ONLY. 1 Gang. Accepts all Tradesave TRADESAVE Slim Switch Plate ONLY. 1 Gang. Accepts all Tradesave Mechanisms. Moulded in Flame Resistant Polycarbonate. Fade Resistant. 5mm Plate Thickness. Bright White. TRADESAVE Slim 16A 2-Way Vertical 1 Gang Switch. Moulded in Flame TRADESAVE Slim 16A 2-Way Vertical 1 Gang Switch. Moulded in Flame Resistant Polycarbonate. Fade Resistant. 5mm Plate Thickness. Bright White. 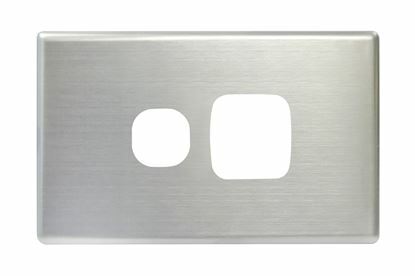 TRADESAVE Slim Switch Plate ONLY. 2 Gang. Accepts all Tradesave TRADESAVE Slim Switch Plate ONLY. 2 Gang. Accepts all Tradesave Mechanisms. Moulded in Flame Resistant Polycarbonate. Fade Resistant. 5mm Plate Thickness. Bright White. TRADESAVE Slim 16A 2-Way Vertical 2 Gang Switch. Moulded in Flame TRADESAVE Slim 16A 2-Way Vertical 2 Gang Switch. Moulded in Flame Resistant Polycarbonate. Fade Resistant. 5mm Plate Thickness. Bright White. 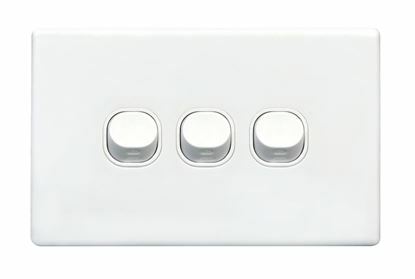 TRADESAVE Slim Switch Plate ONLY. 3 Gang. Accepts all Tradesave TRADESAVE Slim Switch Plate ONLY. 3 Gang. Accepts all Tradesave Mechanisms. Moulded in Flame Resistant Polycarbonate. Fade Resistant. 5mm Plate Thickness. Bright White. TRADESAVE Slim 16A 2-Way Vertical 3 Gang Switch. Moulded in Flame TRADESAVE Slim 16A 2-Way Vertical 3 Gang Switch. Moulded in Flame Resistant Polycarbonate. Fade Resistant. 5mm Plate Thickness. Bright White. 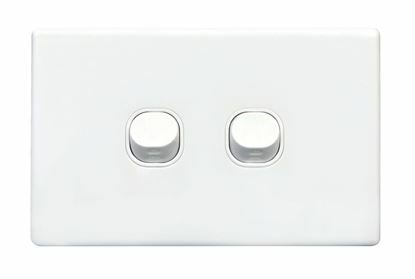 TRADESAVE Slim Switch Plate ONLY. 4 Gang. Accepts all Tradesave TRADESAVE Slim Switch Plate ONLY. 4 Gang. Accepts all Tradesave Mechanisms. Moulded in Flame Resistant Polycarbonate. Fade Resistant. 5mm Plate Thickness. Bright White. TRADESAVE Slim 16A 2-Way Vertical 4 Gang Switch. Moulded in Flame TRADESAVE Slim 16A 2-Way Vertical 4 Gang Switch. Moulded in Flame Resistant Polycarbonate. Fade Resistant. 5mm Plate Thickness. Bright White. TRADESAVE Slim Switch Plate ONLY. 5 Gang. 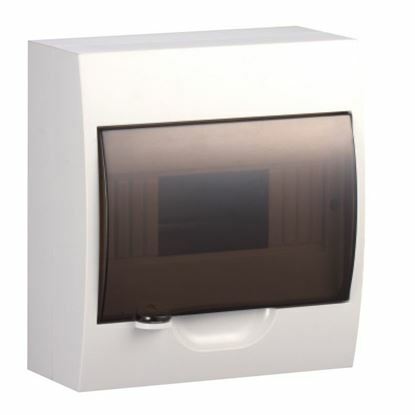 Accepts all Tradesave TRADESAVE Slim Switch Plate ONLY. 5 Gang. Accepts all Tradesave Mechanisms. Moulded in Flame Resistant Polycarbonate. Fade Resistant. 5mm Plate Thickness. Bright White. 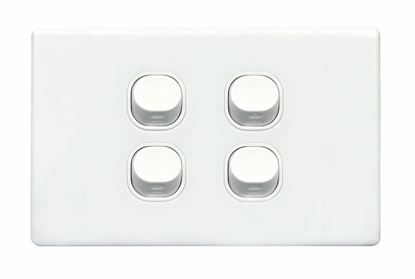 TRADESAVE Slim 16A 2-Way Vertical 5 Gang Switch. Moulded in Flame TRADESAVE Slim 16A 2-Way Vertical 5 Gang Switch. Moulded in Flame Resistant Polycarbonate. Fade Resistant. 5mm Plate Thickness. Bright White. 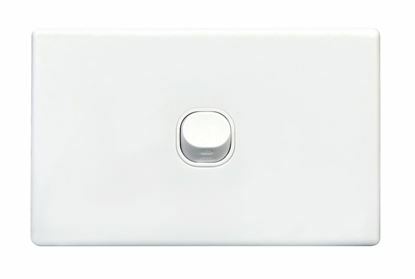 TRADESAVE Slim Switch Plate ONLY. 6 Gang. Accepts all Tradesave TRADESAVE Slim Switch Plate ONLY. 6 Gang. Accepts all Tradesave Mechanisms. Moulded in Flame Resistant Polycarbonate. Fade Resistant. 5mm Plate Thickness. Bright White. 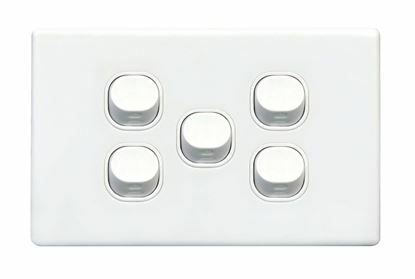 TRADESAVE Slim 16A 2-Way Vertical 6 Gang Switch. Moulded in Flame TRADESAVE Slim 16A 2-Way Vertical 6 Gang Switch. Moulded in Flame Resistant Polycarbonate. Fade Resistant. 5mm Plate Thickness. Bright White. TRADESAVE Weatherproof Box. Suits Standard Swtich Plates. Grey Heavy TRADESAVE Weatherproof Box. 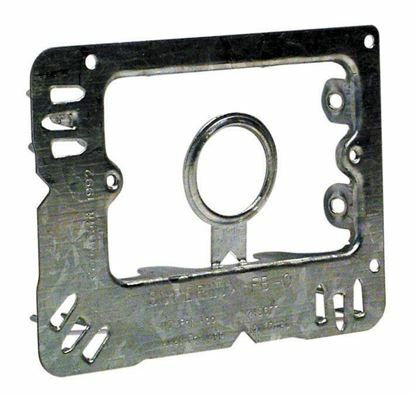 Suits Standard Swtich Plates. Grey Heavy Duty Industrial Grade Virgin Plastic. UV Stabilised. Pre Connected Wires Looping for 2 Gang. IP53 Rating. Surface Mount. TRADESAVE Weatherproof Single IP53 Outlet. Grey Heavy Duty TRADESAVE Weatherproof Single IP53 Outlet. Grey Heavy Duty Industrial Grade Virgin Plastic. UV Stabilised. Pre Connected Wires Looping for 2 Gang. IP53 Rating. Surface Mount. TRADESAVE Weatherproof Double IP53 Outlet. Grey Heavy Duty TRADESAVE Weatherproof Double IP53 Outlet. Grey Heavy Duty Industrial Grade Virgin Plastic. UV Stabilised. Pre Connected Wires Looping for 2 Gang. IP53 Rating. Surface Mount. TRADESAVE Weatherproof Isolator 1 Pole 240V 20A. Grey Heavy Duty TRADESAVE Weatherproof Isolator 1 Pole 240V 20A. Grey Heavy Duty Industrial Grade Virgin Plastic. IP66 Rating. UV Stabilised. Surface Mount. Rated voltage: 250/440V AC. TRADESAVE Weatherproof Mini Isolator 1 Pole 240V 20A. TRADESAVE Weatherproof Mini Isolator 1 Pole 240V 20A. Grey Heavy Duty Industrial Grade Virgin Plastic. IP66 Rating. UV Stabilised. Surface Mount. Rated voltage: 250/440V AC.